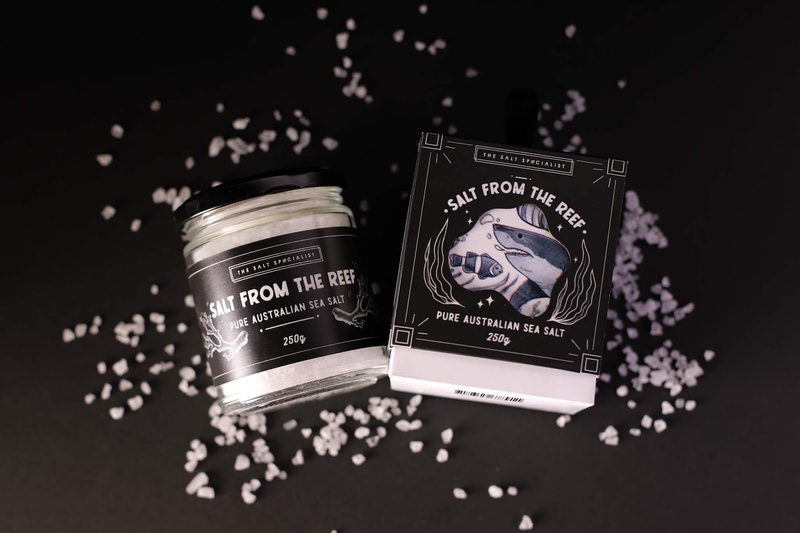 To design packaging for sea salt sourced from the Great Barrier Reef. This product will be sold exclusively at Australian airports and mainly targets tourists. The packaging also has to be made of material that was environmentally responsible and recyclable. 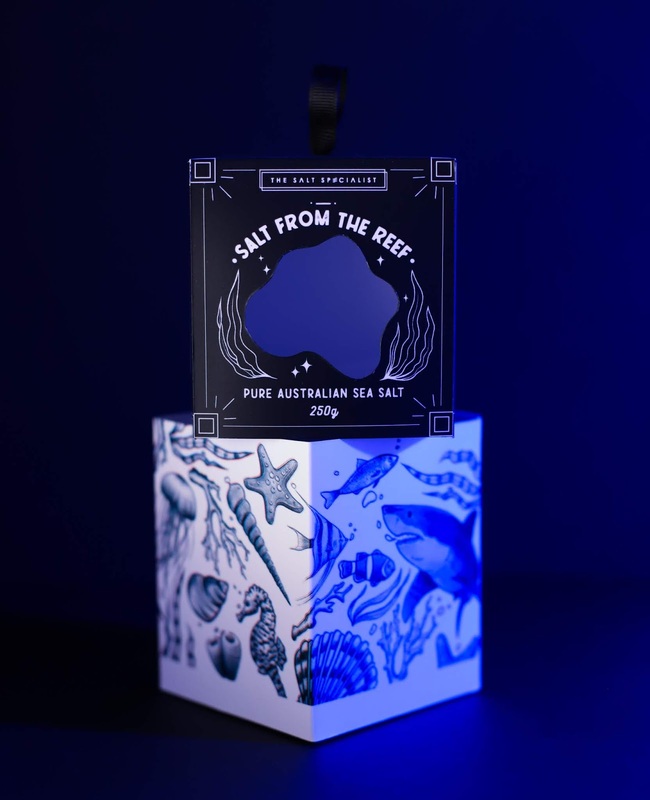 "Salt from the Reef" was inspired by the beauty of the Great Barrier Reef; as well as the fact that it is known as one of the most magical places on earth. 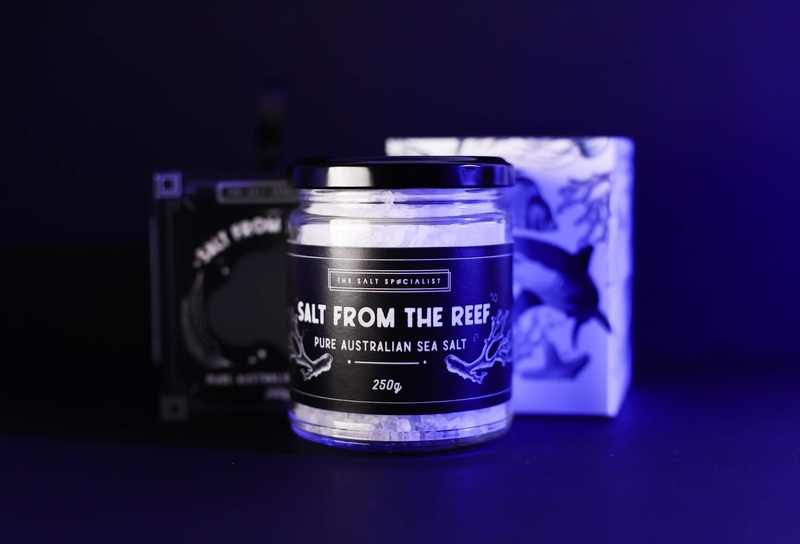 The concept behind the product is that its salt is a preserved piece of magic from the waters surrounding the Barrier Reef. 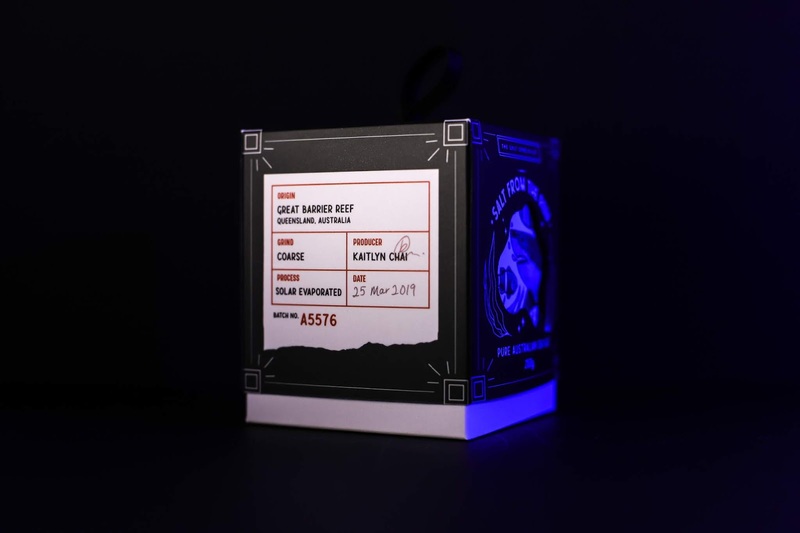 The packaging of the product was also ultimately designed to be a gift either to yourself or to others; as purchases made at airports are mostly bought as gifts or souvenirs. 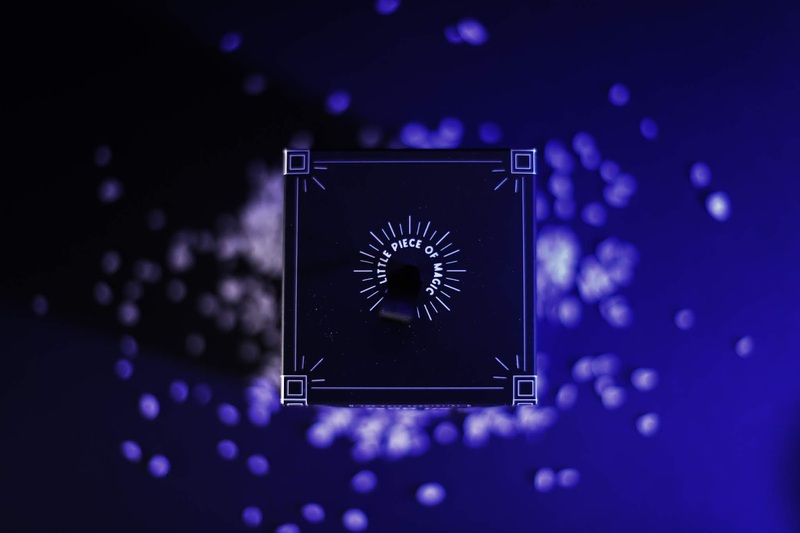 The product slogan and overall concept "A Little Piece of Magic" is translated graphically with a modern interpretation of a treasure chest/magic box. The box features a double layered format with a cut out window on the front of the packaging. The goal was to have the consumer experience this contradicting shift between the average black and white exterior and the complex illustration which surrounds the second layer. Sort of like mimicking the experience of opening a treasure chest. 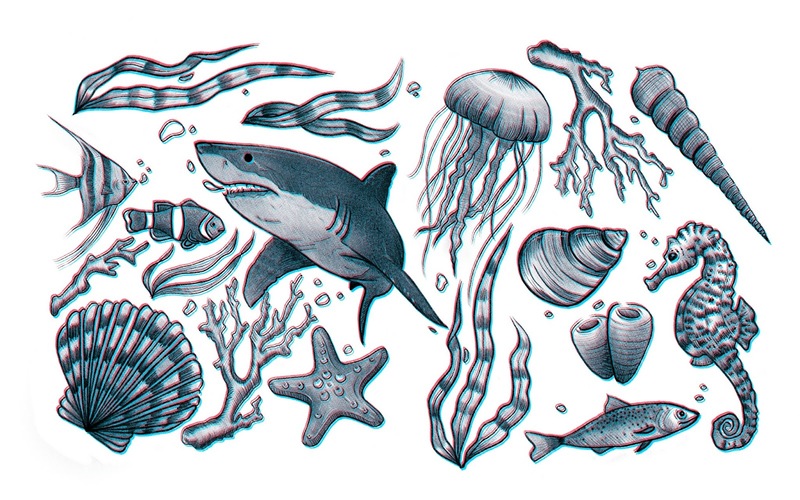 The illustration features elements native to the Barrier reef. 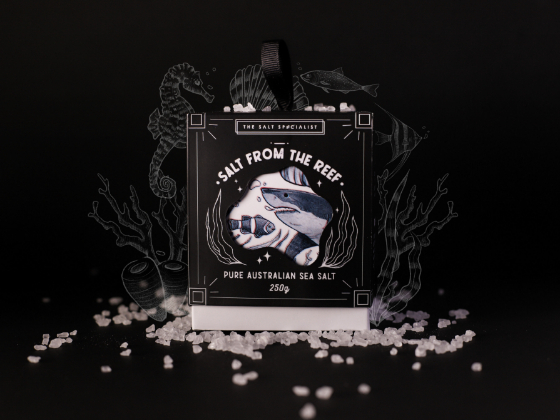 A label is integrated on the side of the box with details about the salts origin and type. 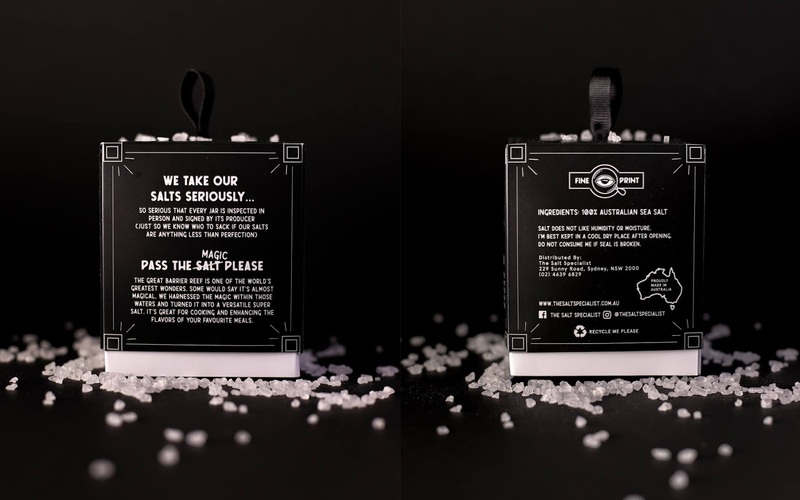 Inspiration was taken from specialty coffee packaging and applied to a product which rarely uses this format. The label displays information in a way where it’s easy to read, compared to having to read through a long paragraph in small print at the back of the box. Every box is also dated and signed to elevate the value of the product. It creates a sense of quality and illustrates the amount of care the brand puts into each product. The jar features a double sided sticker label with illustrations that peek through the inside of the jar. 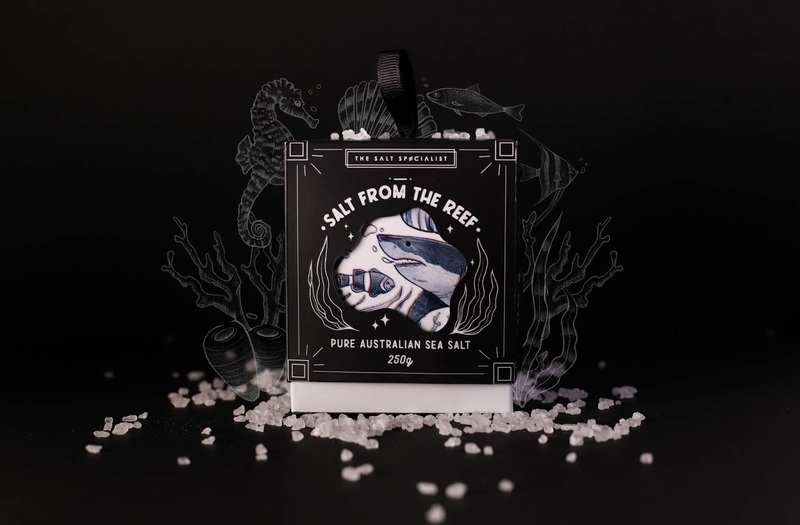 The absence of salt in the jar slowly reveals the illustration of the marine creatures. The design does not only communicate what the product is, but has a personality of its own. The format in which the copy is written is casual and humorous. Hopefully that approach is able to put a smile on whoever picks up this product. The playfulness and boldness of the design also sets it apart from a majority of its competitors.